Spring Break is over but there were memories made last week. 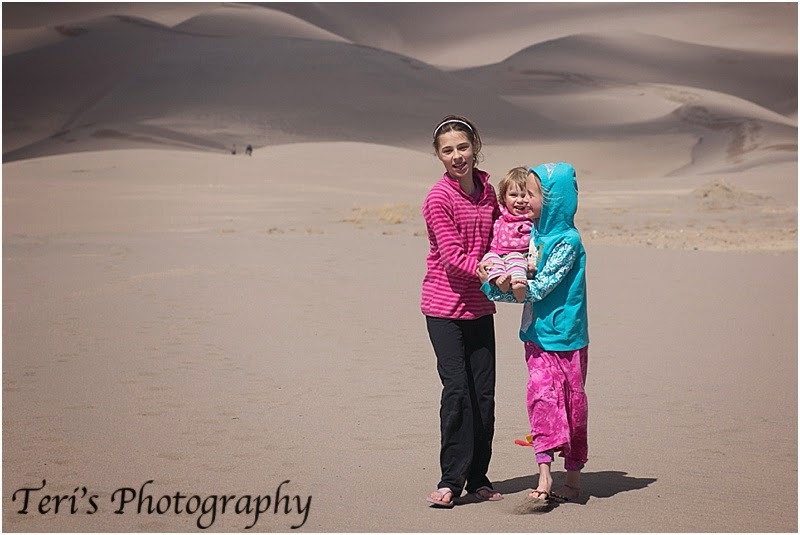 We went to the Sand Dunes with cousins and it was very windy. I do believe that when you are a kid it really doesn't matter. As I looked through photos I saw a lot of smiles that came without a regard to the weather of the day. The water was amazing this year. All the snow of the year made a great runoff to play in. It was this little lady's first trip to the dunes. Is there anything more cute than a baby playing in the sand? 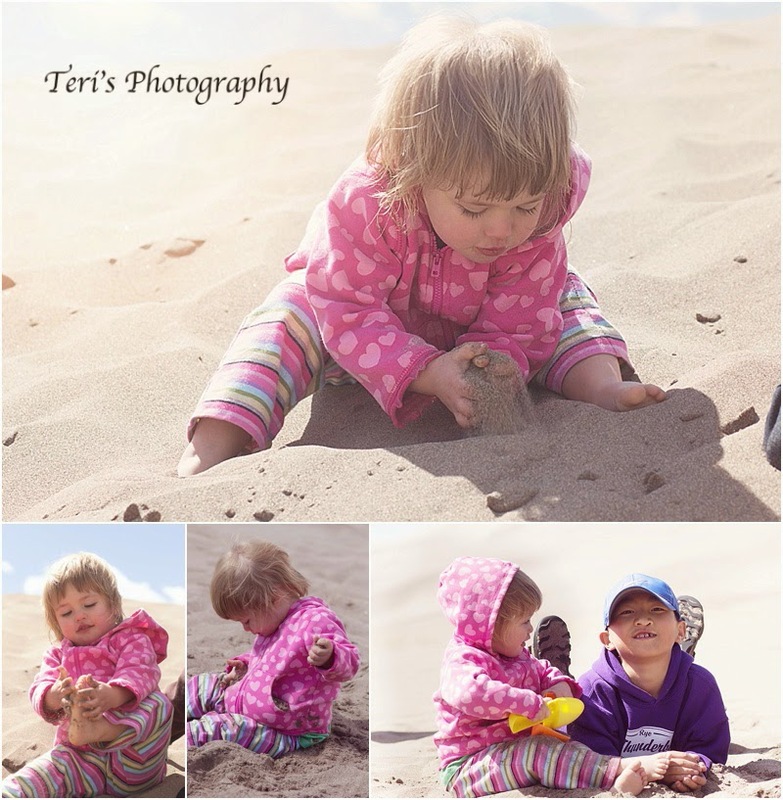 Her cousins were so very nice and loaded her pockets up with sand! 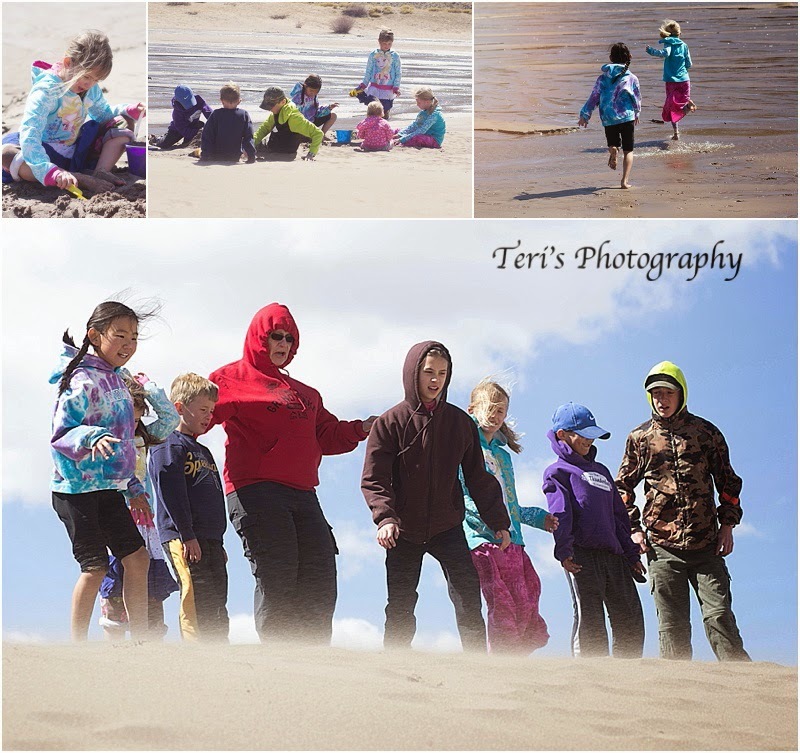 I caught Mom up on the dunes with the kids. It was a jumping contest and it looks like the kids were getting Grandma to participate. I know it wasn't the best weather for this trip but I still love it there. Sand and water are my favorite combination. Summer is coming, and although plans are not set yet, I am hoping it involves some time at a beach.